Every dog should have a point of view. The Pet Peek window can easily make that possible. Dogs are curious; they want to know what’s happening out there. Help satisfy their curiosity and make it possible for them to have a peek. The Pet Peek window is a durable, clear, hard acrylic dome 9.5 Inch in diameter and 5 Inch deep, with a black trim-ring and all necessary hardware for easy do-it-yourself installation into your wooden or vinyl fence. Wigzi’s Dual Doggie is a non-tangling retractable leash allows you to walk two dogs at the same time, while maintaining individual control of each one. The built-in untangling mechanism does all the work for you so you can enjoy your walk without stopping to untangle leads. The only one handed dog hydration system. Squeeze and water is delivered in the bowl, release and water returns to the bottle. Fresh water for your dog prevent health issues from public water bowls. The velcro strap becomes a handle for hiking or can attach to a pack. Made in California. Outward Hound Fun Feeder Large Teal is a healthy slow feeding bowl that is recommended as the way to feed your dogs by expert dog trainers. These dog bowls naturally improve digestion by allowing dogs to forage for their food through the fun patterns and mazes. This slow feeder holds up to 4 cups of food. It has multiple meal-lengthening ridges and valleys and a rubber base that prevents sliding and spillage. Vets recommend Fun Feeder Slo-Bowls to aid in digestion and help prevent bloat. The Tick Twister rremoves the entire head of the tick without squeezing the abdomen to minimize the risk of infection. Removes ticks from dogs, cats, horses, and people without the use of chemicals. Comes with both a small and large tick remover. Watch, talk, play, and treat your pet from a phone with 1080p HD video and night vision. Stream HD video from your pet camera to your smartphone 24/7 with 1080p video, 138° wide angle view, and 3x zoom. From the Petcube App, fling treats at varying distances or schedule automatic. Hear and speak to your pet remotely. Say hello and let them know you love them. And if they are up to no good, tell them to stop. The world’s first wearable combination sprayer-scrubber that can be turned on and off with the press of a button. 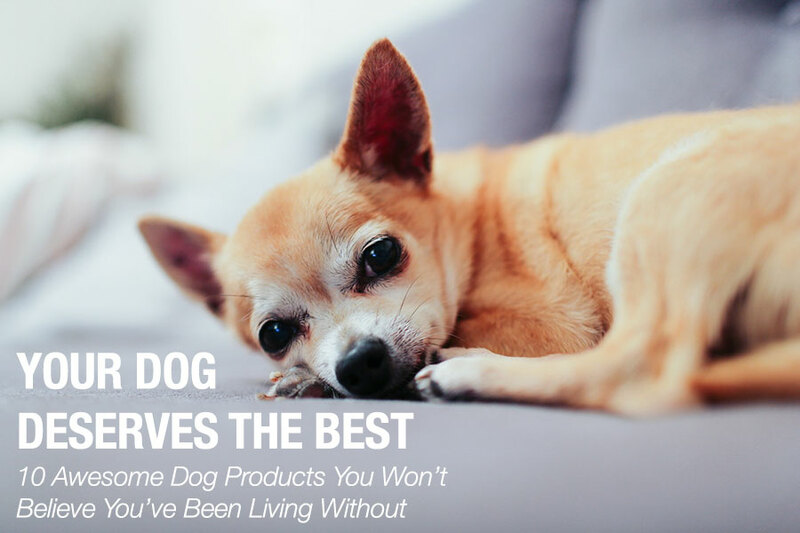 It gives you total control over your pet and the flow of water during the entire bathing process, eliminating much of the time and fuss involved in bath time. Save time, reduce the mess, and eliminate the stress of bathtime for you and your doggie. You might end up sending your dog to the groomer to get properly cleaned, but some in between at-home maintenance will save you money in the long run. 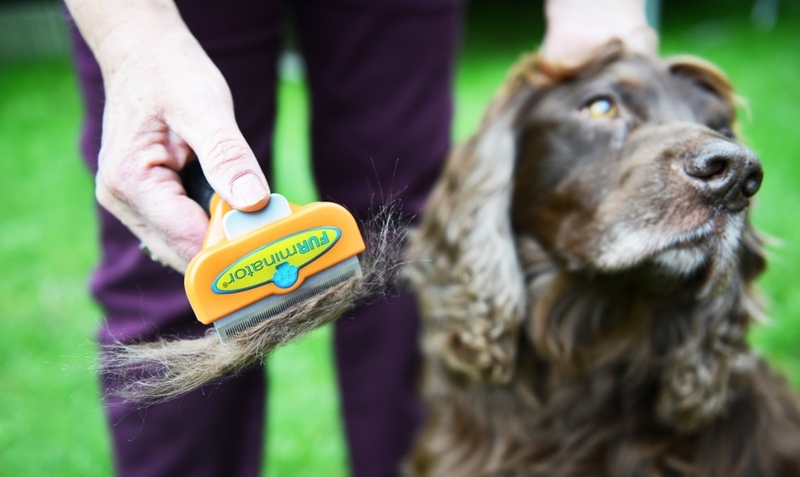 First, the Furminator is essential for any shedding dog. It’ll brush through knots, wisp away shedding fuzzies, and as an added bonus, Pippin seems to like how it feels. 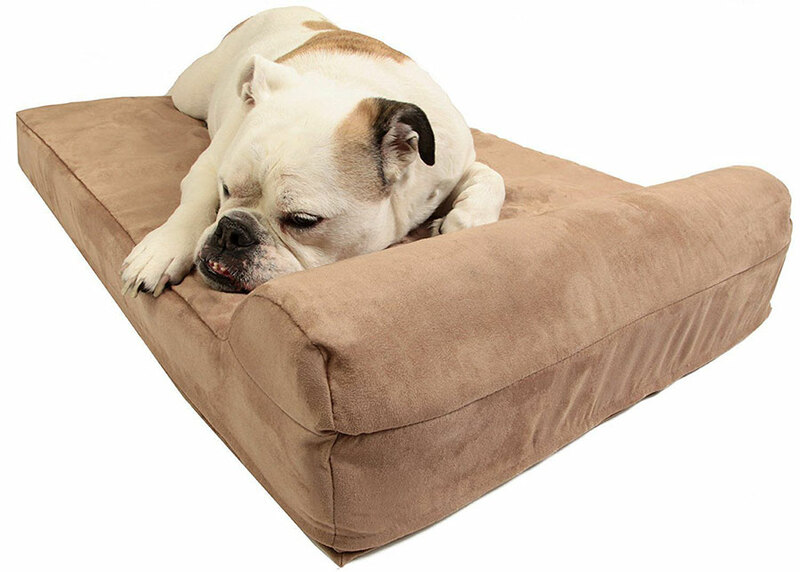 Made with 7″ of American Made therapeutic foam, the same foam used in expensive furniture. The Big Barker is precisely engineered to provide perfectly distributed weight support for extreme comfort & durability and supports every curve of a dog’s body.